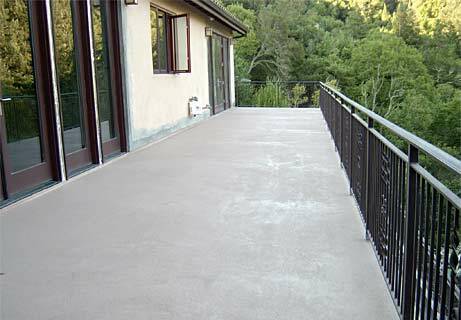 We use both Pli-Dek and LIFE-DECK cementitious waterproofing systems for plywood substrates. A waterproof membrane is applied to the wood to assure a waterproof seal, then galvanized metal lath is laid down. A polyacrylic emulsion base coat is applied first to enhance flexibility, followed by a second coat. Various acrylic or epoxy topcoats can be used for finishes. Serving San Francisco, Marin County and the greater Bay Area.